Roosevelt Griffin has been band director at Harvey School District 152 in Harvey for 13 years and recently became a semifinalist for 2017 Music Educator Award, which is presented by The Recording Academy and Grammy Foundation. Through music the band director of a south suburban school district has empowered his students to strive for excellence was recently recognized for his efforts. 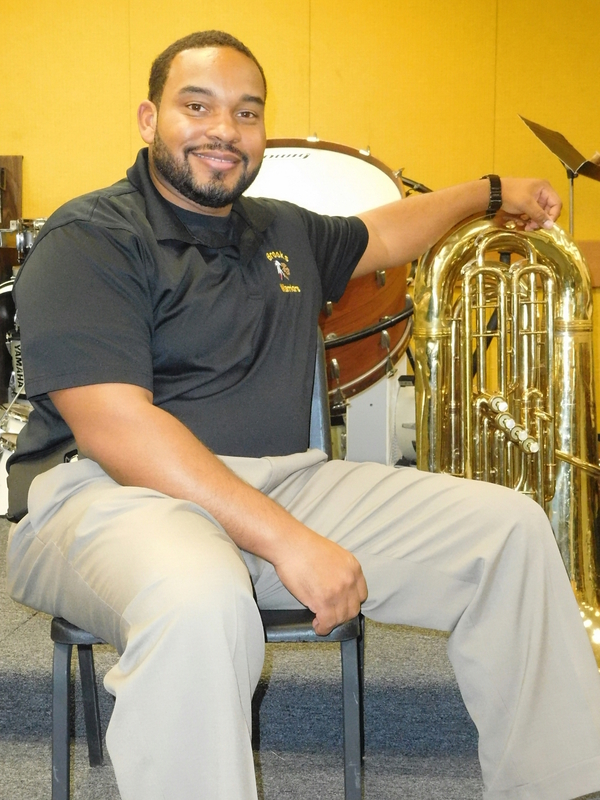 Roosevelt Griffin has been band director at Harvey School District 152 in Harvey for 13 years and recently became a semifinalist for 2017 Music Educator Award, which is presented by The Recording Academy and Grammy Foundation. The award was established to recognize music educators at all levels who have made significant contributions in the field of music education. Griffin, 38, is one of 25 semifinalists for the award, which will be narrowed to 10 finalists, before a winner is announced. Even if he is not selected to go any further in the process he will receive $500 for becoming a semifinalist and another $500 will be donated to the school district. The finalists will each receive an additional $1,000 and an additional $1,000 will go to the teacher’s school. He said it would be great to go further, but is proud that he has made it this far and gives credit to the students who make up the band, which focuses on jazz and classical music. He hopes in the end it will attract more resources to the school’s band program. Harvey Alderman Keith Price (6th Ward) said Griffin has done a good job with the students there. “Brooks” is short for Gwendolyn Brooks Middle School, located at 14741 Wallace St., in Harvey, in the school’s band room, which is Griffin’s second home, when he’s not teaching at other schools in the district. Not only is the band room home, but the village itself, growing up in Harvey and attending the school district as a student that he now teaches in. Griffin has had opportunities to go teach elsewhere, but he believes this is where he needs to be. “I stayed here because I wanted to give back,” he said. Giving back has meant going beyond being a band director, but becoming a mentor and a problem solver as well. He says some of his band students consider his band room home because there’s often nowhere else to go when the school doors close for the day. He says some of his students have serious life issues to deal with due to limited parental interaction or supervision. But he believes the music combined with the life skills he’s taught over the years has made an impact.